Recently a family member tried to call me regarding a minor medical problem. Unfortunately I was working at the time, and our emergency department is the place where cell phone reception goes to die. I didn’t know about the call until after my shift had ended and saw the voicemail left on my cell phone. When I returned the call, I was told the problem had already been taken care of after going to an urgent care clinic. I must admit I had mixed feelings about this. On one hand, I was glad the issue was addressed and my family member was getting the proper treatment for their minor medical ailment. On the other hand, I felt I should have been the one to provide that solution, since I am the doctor in the family. The experience led me to take a closer look at the urgent care clinic (UCC) industry, about which I knew very little, and which operates in parallel with emergency medicine. The UCC market recorded $15 billion in revenue last year, with revenues growing 5.4% per annum over the last five years. There are over 9,000 urgent care and walk-in clinics nationwide, approximately half of which offer “full service” with lab and X-ray facilities, and with over 135,000 employees. What constitutes a UCC varies wildly. While some states — such as Arizona, New Hampshire, and Delaware — have specific criteria for opening an UCC, most states do not. Most UCC site owners are small players, owning only one or two sites. Approximately 20 organizations own more than five locations. The largest player is Concentra, with over 300 UCCs. Concentra was acquired by Humana, a publicly-held health insurer, in 2010, and has continued to pursue an aggressive strategy for acquiring other UCCs. In addition to health insurers, other large players in the UCC markets include retailers like CVS (which itself owns Caremark, a pharmacy benefits manager) and hospitals. The rationale for hospitals to establish a foothold in the space appears to include several factors. UCCs give hospitals the opportunity to carry their brand to multiple locations, both enabling advertising and bringing care closer to a wider range of patients. They also serve to draw in new patients (aka customers) for the hospital’s specialists, bringing more reimbursement opportunities. Lastly, they offload some of the workload from the hospital’s emergency department. While Medicare-accepting emergency departments are directed by EMTALA to see all patients “regardless of an individual’s ability to pay,” UCCs usually ask for payment up front. A PricewaterhouseCoopers study illustrated cost advantages for patients using a UCC, finding that insured patients have average co-pays of $50 and $100 for UCCs and EDs, respectively. Finding exact data on who works at these UCCs was more difficult for me. There is no recognized residency in urgent care medicine, though some post-residency programs designed for family medicine physicians do exist. Data on how many UCC practitioners are EM-trained versus trained in other specialties does not appear to exist, nor could I find information on the mix of doctors versus mid-level providers working at these facilities. Most references did cite emergency medicine and family medicine specialists as constituting the bulk of doctors working at these sites, alongside physician assistants and nurse practitioners. In theory, the types of cases seen at UCCs should be of lower acuity. A 2010 Rand Corp. study estimated that 17% of cases seen in emergency departments nationwide could be treated at UCCs, resulting in an estimated savings of $4.4 billion. That leads me to the first of many questions I had after conducting all of this research. While nearly one-fifth of ED cases could be handled in a UCC setting — if you believe the Rand Corp. — what is there to ensure that patients accurately judge their level of acuity? The risk of patients delaying appropriate care because they go to a facility ill-equipped to diagnose and treat their ailment is a real concern. Another question centers on who is working at these facilities. After spending years establishing the value of an emergency medicine residency, how should we react to the emergency medicine-like activities of UCCs that do not require emergency medicine-trained physicians? The “pay before treatment” business model of these UCCs also presents a problem for hospitals, as these sites will only draw those patients able to pay for their services. The result will be a worse payer mix for the ED, straining the resources of an already overburdened and under reimbursed system. While the motive for hospitals to open UCCs seems reasonable and clear, the presence of so many insurers moving downstream into direct patient care should raise alarms. Are patients being directed to receive care based on what treatments are sold by the owner of the UCCs? Are physicians and other employees of UCCs under pressure to direct patients to treatments sold by their employers? Is there any true oversight to ensure conflicts of interest do not arise, leading to inferior patient care? Just as I had mixed emotions about my family member seeking care from a UCC, I have mixed feelings toward the UCC industry. Many of our fellow residents have shifts in UCCs, both as part of their residencies and as moonlighters, and many of us will find ourselves working in UCC environments at some point after the conclusion of our residencies. Many of our colleagues, based on blogs and editorials, see UCCs as a real threat to the emergency department. Many others appreciate the UCC as a complement to emergency departments. For me, there is no black and white answer. The UCC industry, given its size and growth rate, is here to stay. Understanding its origins, benefactors, potential, and limitations is important for us as physicians who will be interacting with this field for the foreseeable future. 1. “Emergency Rooms vs. 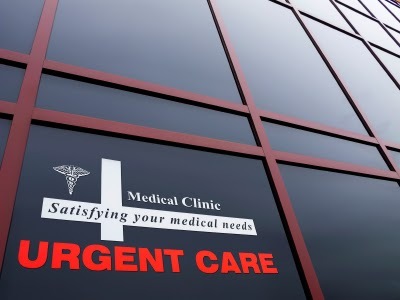 Urgent Care: Differences in Services and Costs.” www.debt.org/medical/emergency-room-urgent-care-costs/. 2. Glatter, R. “The Evolving Role of ER Doctors and Emergency Departments in Delivery of Health Care.” Forbes, June 17, 2013. 3. Krauskopf, L. “Humana to buy Concentra for $790 million to diversify.” Reuters, November 22, 2010. 4. McQueen, MP. “Centers for Urgent Care.” The Wall Street Journal, March 27, 2011. 5. Urgent Care Association of America. www.ucaoa.org.